Kombucha: the simple, scientific facts! – Is it healthful? 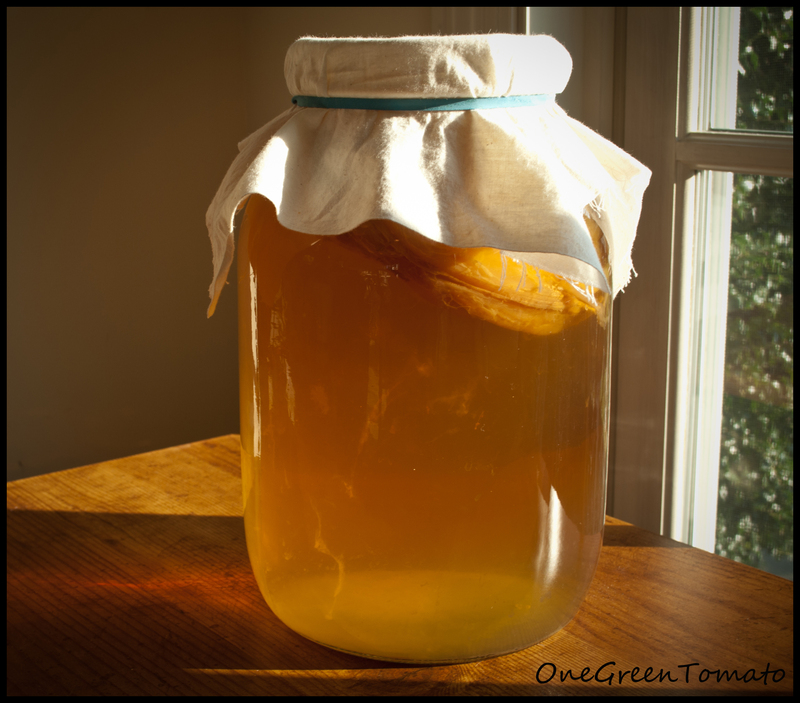 Kombucha: the simple, scientific facts! My girlfriend often makes me drink Kombucha tea because it will apparently stop me from getting sick – I say this as I am getting sick. 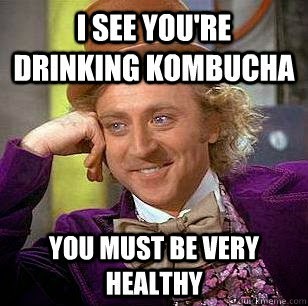 The fungus, the smell, the taste: every part of the Kombucha drinking experience I despise. So, I thought I would consult the scientific research on the subject, so I never will be forced to drink this retched, ghastly beverage again. Did I make a mistake? Possibly. Because the hype around Kombucha is pretty new, not a lot of research has been conducted on this so called magical tea. The research that does exist has been conducted on animals, which in scientific terms is considered pretty low quality, early stage research. Anyhow, let’s have a look at the limited evidence we do have. Seven different studies on cells and animals found that Kombucha kills microorganisms involved in the development of various different diseases (1). This means it may be able to kill: bacteria, fungi, viruses and parasites – preventing, or curing a gamut of diseases (see this list). Basically, an antioxidant is a chemical that kills cells that kill cells. Yes, you heard right, it is a killer cell killer! The presence of these killer cells is said to lead to the development of diseases such as: cancer, Alzheimer’s disease and atherosclerosis (see full list here). The three different studies on the topic all have found Kombucha to have antioxidant effects(1). Additionally, these effects (among others) have been shown to alter some of the biological processes involved in the development and worsening of cancer (1). This indicates that Kombucha may translate to a decreases in the incidence of the previously mentioned conditions, including cancer. However, I cannot stress enough that there is no research yet directly demonstrating that Kombucha decreases the presence of such diseases, or cures these diseases in humans! So think of it as an adjunctive therapy, but by no means a primary one. In a number of studies on rats and cells, Kombucha has been demonstrated to decrease the negative effects that liver harming agents, such as paracetamol have(1). Cool! There has been a lot of publicity on the potentially toxic effects of Kombucha. There have been reported cases of liver toxicity (ironic, considering the above) and lead poisoning among other things. Despite this, the FDA have conducted research that has found Kombucha to be safe for human consumption when the fermentation process recommended by the FDA is strictly adhered to (link here, 2). Although, I should note that HIV positive patients and pregnant women should never drink Kombucha (1). 1. Aid in liver protection. 2. Help in preventing the development and be a useful adjunctive treatment in diseases involving cell oxidation (Alzheimer’s, Cancers, etc. ), or microbial processes (common cold, tapeworm, etc.). To be completely safe, FDA (or equivalent national body) approved Kombucha should be the only Kombucha you consume. Our verdict: Slightly healthful, with the potential to be very healthful!. I’ll stick to coffee, though thank you for being straight about the noxious taste! LOL. Haha for that reason I’ll be sticking with coffee too. Thanks, elegantwriter95. As I said there’s no certainty that it cures cancer, but it certainly is worth trying in addition to leading a healthy lifestyle! Yes! Living a healthy lifestyle is difficult in my case. I am experimenting daily with fruits and vitamins to lessen my condition. Even eliminate the issues. Good for you, keep up the great work. One of my coworkers has started making her own kombucha. Honestly, I had never heard of it before a picture of her mason jar filled with strange colored liquid popped up on Facebook. Eh, if it tastes that bad, don’t think it’ll be on my list. My hubby’s too much of a foodie to allow a drink that doesn’t taste good to stay in the house. Haha that’s understandable, Bria. I think it tastes/looks horrid also, although there are a couple of apparently tasty versions of Kombucha being sold in bottled form. Haha not an uncommon story. I can see how you could acquire a taste for it though. Humor, in the world of health; very refreshing! I enjoy your approach to your various topics. It’s meaningful writing that keeps the reader engaged. Since there are many healthy products that naturally reduce inflammation, provide anti-oxidant benefits, detoxify the liver and interstines, I think I will wait to see your personal results with Kombucha before considering introducing it to my alimentary canal. Will be returning for more information and more fun! Thanks, Jncthedc. Your tastebuds will be thanking you. surely, it has been healthful, and more. How about fungus and candida overgrowth problems? Does it help or worsen the situation? In fact, it is kind of a fungus too, so in my mind it may cause overgrowth of this fungus, isn’t it? Thanks for the comment. Yeah I suspect that it may have the potential to worsen it. If not, it’s unlikely it will improve it, as a Cornell study found Kombucha doesn’t inhibit Candida. So potent! Good stuff – you’re a kombucha pioneer. Yes thatś why i also do what i do now providing people the most potent elixirs possible from the best ingredients . Glad to hear the results of your findings. Personally I love the taste so it’s win win for me! Thanks for the blog follow. Interesting stuff on here. I look forward to more of your findings. Thanks Daire. Wish I lived the taste too! Thanks for the like on my post. I really don’t like the taste of Kombucha, but my daughter swears it’s good for me! Pleasure. Yeah it’s certainly not enjoyable to drink! My daughter says she has grown to like the taste, but for me……….. well. not so much! ← The stone cold science on hangover cures: this will surprise you!